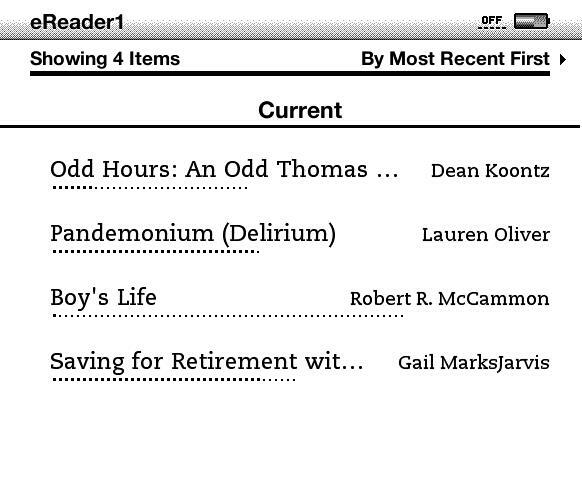 On your Kindle homepage or collections (for e-ink Kindles), titles have a row of dotted lines beneath them. What do they mean? On my screenshot, Boy's Life is the longest book, Odd Hours is the shortest. On the screenshot (click to enlarge), Odd Horse is a few chapters in. 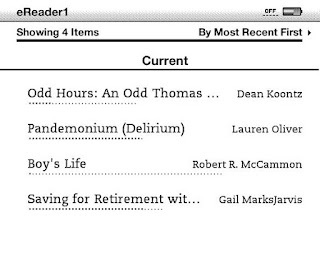 Pandemonium is complete, Boy's Life a page in, and Savving for Retirement approx 85% read.